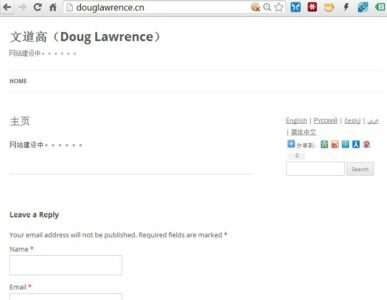 This was done as explained in the post setting locale in WordPress Multisite. Neither Ben nor I could find any clear instructions on how to do this but following some ideas from Marko Heijnen we knew we had to take the language files from another language ‘version’ of WordPress and copy them into the English install. 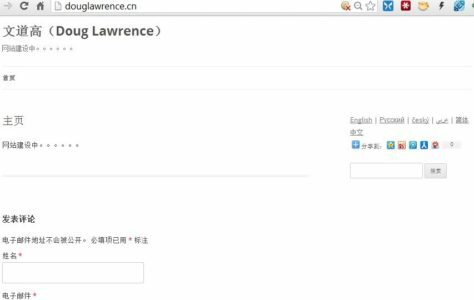 Why install the language files for the front end? Because it means any WordPress strings will that appear in the front end will be in language of the reader rather than the administrator, for example the ‘Search’ button. We found the Arabic download at http://www.ar-wp.com/ but if you follow the links from http://codex.wordpress.org/WordPress_in_Your_Language you can also download from http://ar.wordpress.org/. After you’ve downloaded the zip file extract the the language files. I only wanted the front end files so I didn’t need the admin files, and I only need the .mo files (not the editable .po files). 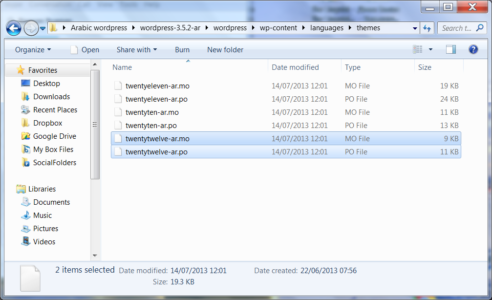 You can upload these files your wp-content/languages and your themes directory as shown in the screen shots. I am using twentytwelve which does have supports for rtl (including an rtl.css style sheet). The ‘ar’ identifier (Ben and I discovered) didn’t work in my case because I’d set the locale to ar_AE (Arabic UAE) to agree with my domain ccTLD (ae.org). 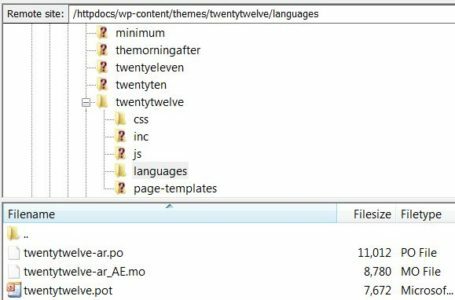 When we changed the name of the mo files in the languages directory the rtl.css was activated.